J’NATHAN Bullock returns for another tour of duty for Rain or Shine and looks forward to completing what he failed to finish in last year’s PBA Governors Cup. Coach Caloy Garcia said the import’s familiarity and effectiveness with the Elasto Painters convinced the franchise to bring the 31-year-old product of Cleveland State back for the season-ending meet that kicks off on August 17. 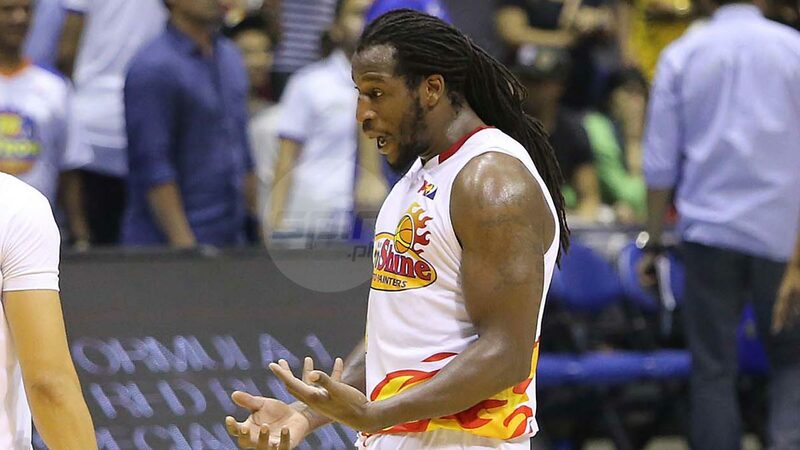 Bullock is already in the country and has started practicing with the Elasto Painters. “He looks fitter than the first time he was here,” said Garcia on Sunday. Bullock helped the Elasto Painters reach the playoffs of the season’s final conference last year where they came a win short of advancing in the semifinals, losing to the TnT Katropa, 118-114, in their knockout quarterfinal game. He was a late replacement for JD Weatherspoon. The Rain or Shine coach added Bullock arrived earlier than expected since the franchise thought it will no longer be the lead player in the formation of the national team to the 18th Asian Games. But after the Samahang Basketbol ng Pilipinas decided to reconsider its decision and proceed with competing in the Indonesia Asiad, Garcia said Bullock will just have to continue practicing with the Elasto Painters who were left out from the national team roster by coach Yeng Guiao. “Tuluy-tuloy lang ang practice nila, hindi naman buong team ang pupunta sa Asian Games,” said Garcia, who will act as Guiao’s lead deputy in Indonesia. Gabe Norwood, Raymund Almazan, Chris Tiu, Maverick Ahanmisi, Chris Tiu, and two-time MVP James Yap are the six Elasto Painters included by Guiao in his 14-man pool. Deputy Mike Buendia for the meantime, will call the shots for Rain or Shine in practice in the absence of Garcia.